Calligraphy Font Bundle is a 20 fonts collection of beautiful calligraphy hand-made script typefaces. It also offers two more fonts (Karmela and Salma Desire) as a bonus … this is very nice indeed. 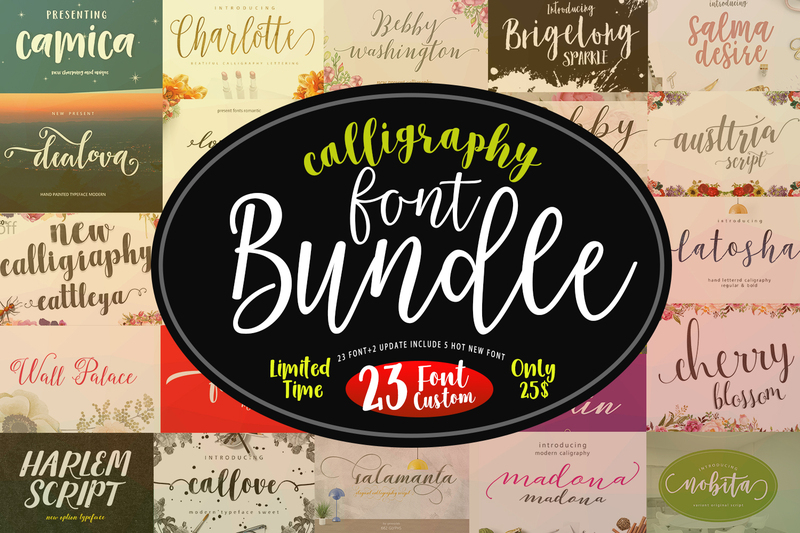 Get into calligraphy design with Calligraphy Font Bundle! A font description published on Thursday, March 16th, 2017 in Active, Bundles, Fonts by Andrei that has 3,537 views.